If you are someone who likes to work on your car yourself and have a bit of car knowledge, you must have come across leak sealers when you are out buying accessories for your car. Everyone who hasn’t used the leak sealer wonders if it really works because the advertisements of these sealers imply that these things are magic and instantly seals your car’s ac leaks and other types of leaks. But the most important factor of all this is the price of the product. You are getting a low priced product which fixes those problems in your car which would cost you heavy if you decided to get it checked and fixed by a mechanic. Here, the question comes about the credibility and authenticity of these AC leak sealers. Can you really get a product that can save you a lot of money on repairs? Or is it too good to be true and you might do more damage than good if you use these AC leak sealers on your car? To find out about whether these AC leak sealers are worth the money and risk, let’s take a look into what these things really do and what these things are made of. 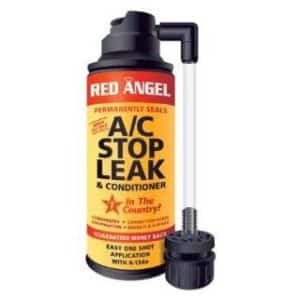 What are AC Stop leak sealers? These AC leak sealers aren’t new in the market. These products are in fact quite common in the natural gas industries for years and years. These compounds have been used for a long time to seal minor leaks in the gas pipelines to save time and money to repair them manually. AC leak sealers either come in a single bottle and sometimes the package contains two bottles. In that, one of the bottles contains the sealer and the other bottle contains the conditioner. Now, most sealers come with the combination of the two in a single bottle so that the user doesn’t have to go through the hassle of mixing them manually. These sealers are a slightly thick liquid substance which reacts with the temperature and water as well and forms into a sealant which looks like epoxy. There are particle based sealers as well which work differently compared to chemical-based sealers. Does AC Leak Sealer Work? There are a lot of different opinions when it comes to AC Leak sealers. Here are the Pro’s and con’s of the AC leak sealer so you can ask yourself if it’s worth it. In my opinion, it’s much better and probably cheaper, in the long run, to repair it properly. The fact about safety depends on where the sealant is being used. While the benefits are clear, these sealants are an inexpensive way to stop minor leaks in the refrigerant lines. Note that these sealers are mostly beneficial for sealing small leaks and cracks and not large ones. As the sealant reacts with the moisture, it forms into a solid substance and that is permanent. So if you have a warranty still left for your AC unit, it will be surely voided. Also, lots of compressor manufacturers do not suggest to use these sealants because refrigerants contain gases that are meant to be confined into those AC lines and not come in contact with any other chemical. If these sealants are used to fill up larger leaks, the leak may be fixed for the time being but due to frequent pumping of the refrigerant causing temperate changes in the line, the solidified sealant will eventually crack and break off, needing to you get the while line replaced. They can clog up the expansion valve, AC evaporator/condenser and other parts and it will disturb the flow and pressure of the ac system. This can cause further expensive repair costs. It’s more of a temporary fix and not a permanent because of the high pressure inside the AC system. It will most likely reduce your AC cooling efficiency if you are not flushing it afterward. If you are going to repair shop visit and if they will suspect any leak sealer in the ac system, they will have to flush the system. An additional cost of at least 100$. The first one, which is the powder or grain type is a sealer which contains tiny particles inside the compound. This particle-based sealer works by clogging the leak or cavity with its tiny particles, forming into a fine sealant. The tiny particles sit together inside your refrigerant line. While these types of sealers work too, the high pressure in the AC lines doesn’t let the particles sit in for long. Also, these types of AC leak sealers are getting obsolete and you are likely to find mostly chemical based AC leak sealers for the most part. The second type of AC leak sealers, which contain a chemical compound is now more commonly found in the market. These come with different names and branding but the job of it is the same. To seal the leak so that the refrigerant doesn’t leak out. Now these chemical based sealers are seemingly safer to use when compared to the first type because these sealers don’t actually clog up the leak but rather form a tight layer over it to prevent the gas from leaking out. These chemical-based compounds, as we discussed earlier, can come in a single bottle or two bottles, having the sealant and conditioner in separate containers. How do these sealants really work? We shall look into a bit more detail how these AC leak sealers really work. When dealing with a particle or grain-based sealers, these simply clogged up the leak with all those tiny particles getting stuck at the leakage point or crack. These sealers are useful for sealing leaks in areas which aren’t pressurized but since we are talking specifically about AC leakage, this type of sealer may not work properly as the AC lines are pressurized. Also, due to the pressure inside the lines, the refrigerant can maintain its liquid form but as soon as it hits the room temperature, the liquid is instantly converted into a gas which is why particle based sealers cannot work well in sealing AC leaks. Coming to the chemical based sealers, however, things work differently. There are sealers which fill up the cracks inside the engine’s cylinders, to improve the compression of the mixture. The working is similar. When working with AC pipes, these sealers react to the temperature change inside the pipes. The sealant is simply poured in the refrigerant line. 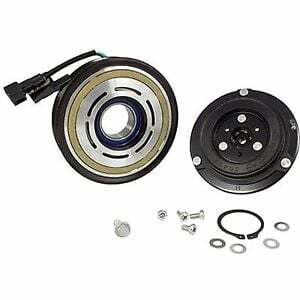 The sealant flows with the refrigerant and also acts as a lubricant. When the sealant comes across a leak, the temperature change due to that leak because as the refrigerant leaks out in the atmosphere, it cools down a lot, making the leakage spot extremely cold. The sealant reacts to this sudden change in the temperature inside the line and activates by forming into an epoxy or a chemical weld over the crack or leak. The compound actually changes form due to the moisture at the leak point. This is what causes leakage to stop.